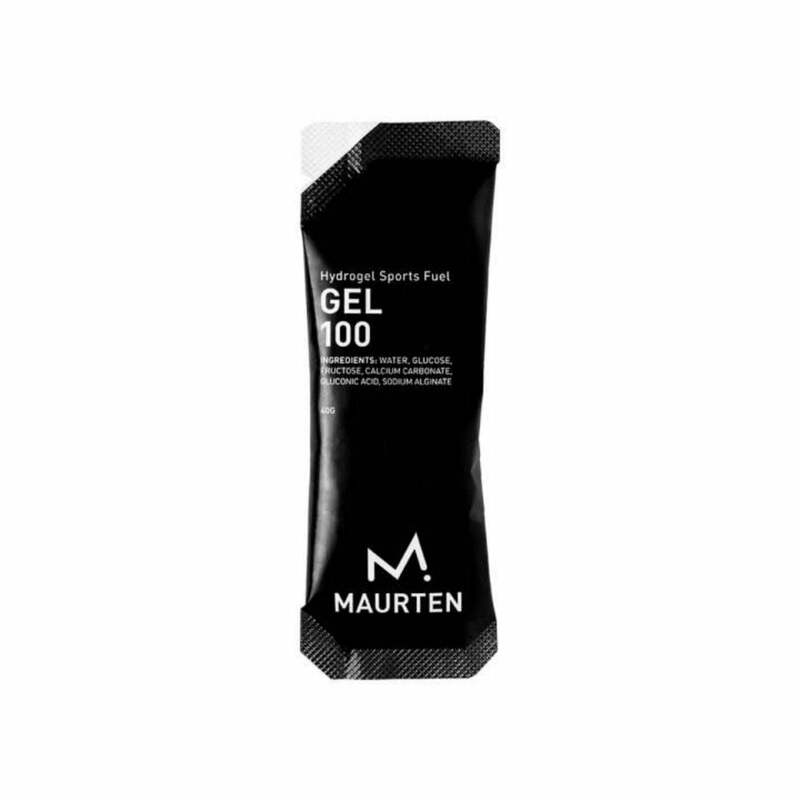 GEL 100 - The GEL 100 is a hydrogel – a biopolymer matrix that holds carbohydrates. It relies on the same concept as our drinks where the hydrogel technology enables a smoother transportation of carbohydrates through the stomach to the intestine where the carbohydrates are absorbed. In the case with our drinks, the hydrogel is formed in the acidity of the stomach – but the GEL 100 is a hydrogel formed in production, by combining sodium alginate and calcium carbonate under exact conditions. Alginate – extracted from the cell walls of brown algae. Built with six ingredients – no added colorants, preservatives or flavours. 25g of carbohydrates per serving. Can be used before, during and/or after activity. A superb energy gel used by the finest athletes in the world!